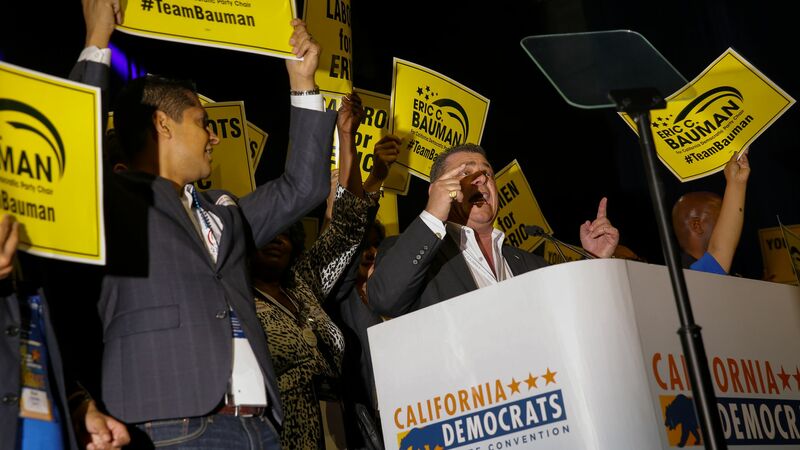 Eric Bauman, the chairman of the California Democratic Party, has been accused by 10 party staff members and political activists of making "crude sexual comments" and engaging in "unwanted touching or physical intimidation" for over a decade, reports the Los Angeles Times. Details: Staffers told the Times that Bauman, who is gay, crossed a line during professional settings with sexually explicit remarks and unwanted physical attention. Bauman took a leave of absence this week after being accused of unspecified misconduct and said in a statement Wednesday that he would seek treatment for "serious, ongoing health issues and to begin treatment for ... an issue with alcohol."